and I work with my clients to help them rediscover their true purpose, regain lost confidence and self-worth, and ultimately create a life of meaning to become happier and healthier through every stage of life. If you’ve come to my website, chances are you’re looking for a way or ways to improve your life, whether it’s your career, family and relationships, health and happiness or more. Perhaps you’ve had your first career, then taken time out to look after your children, and now they’re growing up, you’re wondering what’s next? Or maybe you are just starting out on your path and need to dig deep to find confidence and self-belief to trust your own judgement and overcome fear. Maybe previous jobs and relationships have dented your confidence and you’ve somehow lost yourself and don’t really know what you want in life, you just know you want a change. Whatever the reason, you’re come to the right place.  “Dawn Quest is a truly insightful coach and therapist. I work with my clients using a phenomenally powerful life-changing therapy called Rapid Transformational Therapy (RTT). 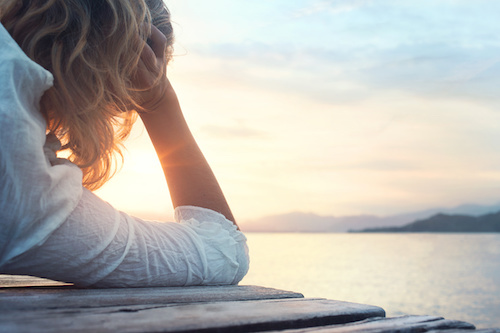 I like to call it “Hypnotherapy Plus” as it works with the subconscious mind to identify and eliminate old unhelpful thoughts and beliefs for good, replacing them with new, better, positive ones. 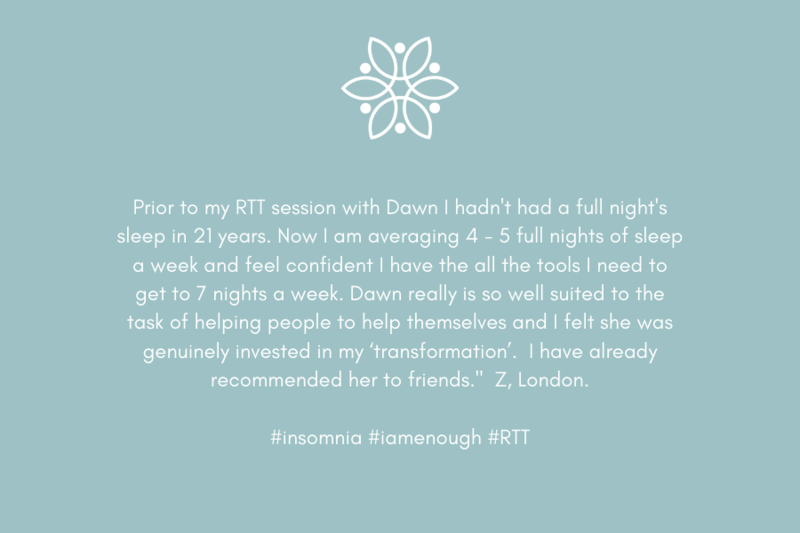 Together with traditional coaching techniques, I’ve been privileged to see my clients achieve incredible results sometimes in as little as one session. Get to the absolute root cause of what’s holding you back from living the life you want. Whether it’s a lack of confidence or self-belief, anxiety, weight loss or eating issues, relationship problems, addictions or a wide range of other emotional, physical and psychological issues. 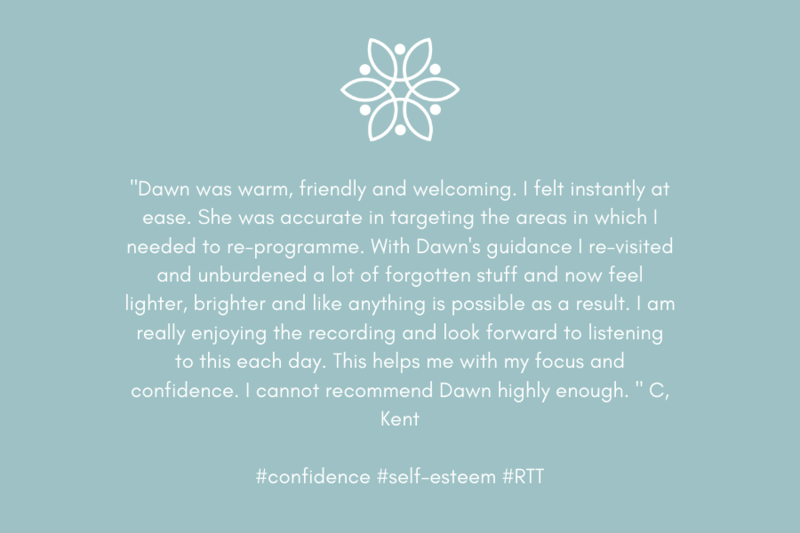 Find out more about individual RTT sessions and coaching packages here. Are you holding yourself back in business? 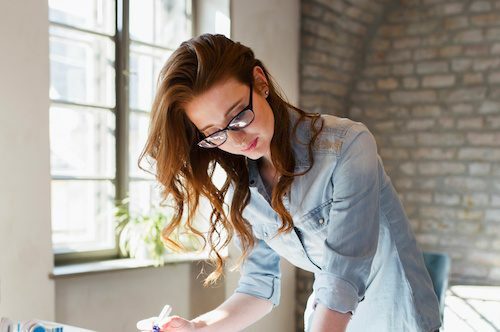 Do you have issues around self-worth, a feeling of lack in your money mindset, low confidence or self-belief, or other limiting beliefs that are getting in the way of your business success? 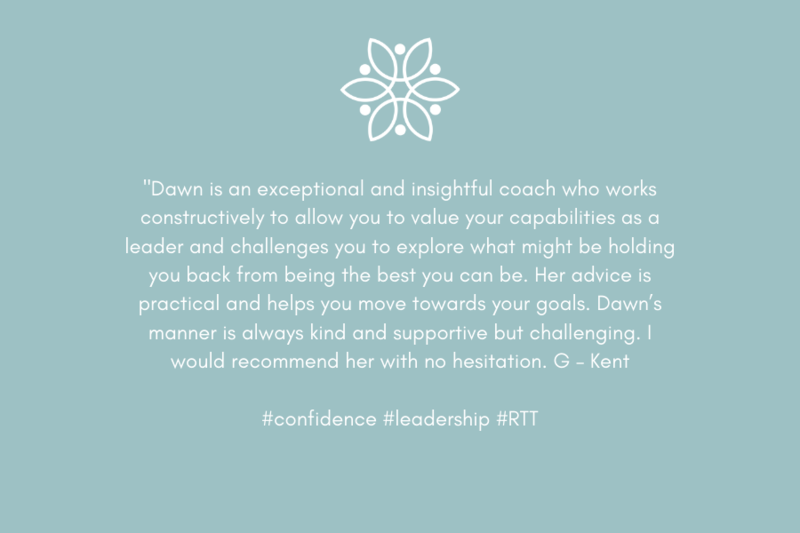 Find out more about Business RTT and coaching packages here. Over an 11-year coaching career I’ve been fortunate enough to work with a wide range of clients. I’ve coached TV presenters, CEOs, entrepreneurs, authors, sportswomen and men, mums looking to get back into the workplace, and teenagers just starting out on their career paths, among many other clients from all walks of life. 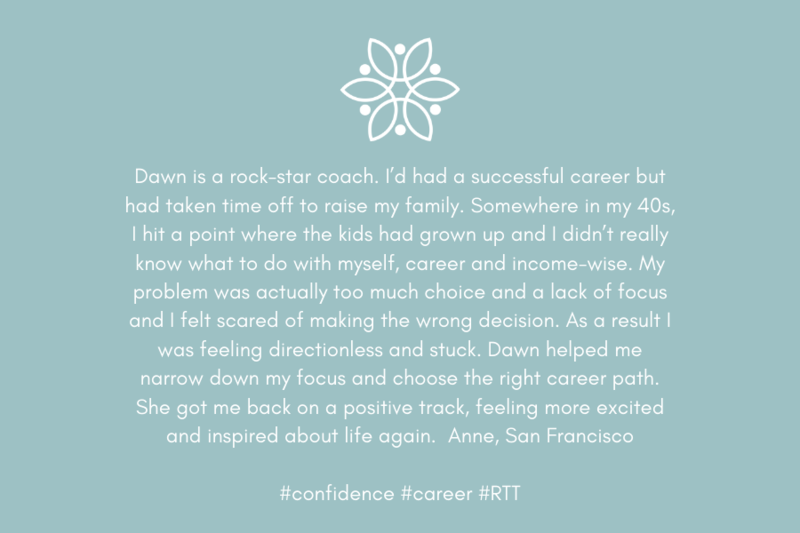 I trained with the founder of RTT, Marisa Peer in London in early 2019 and now deliver single RTT or coaching sessions or combined bespoke RTT/Coaching packages. I help my clients achieve their goals, whether that means taking a bold leap of faith or just tiny steps in the right direction. Every one of my clients has their own story and unique set of goals and challenges, from moving country, changing career, meeting a publishing deadline, dealing with overwhelm, or simply working to become a better partner, boss, employee or parent. 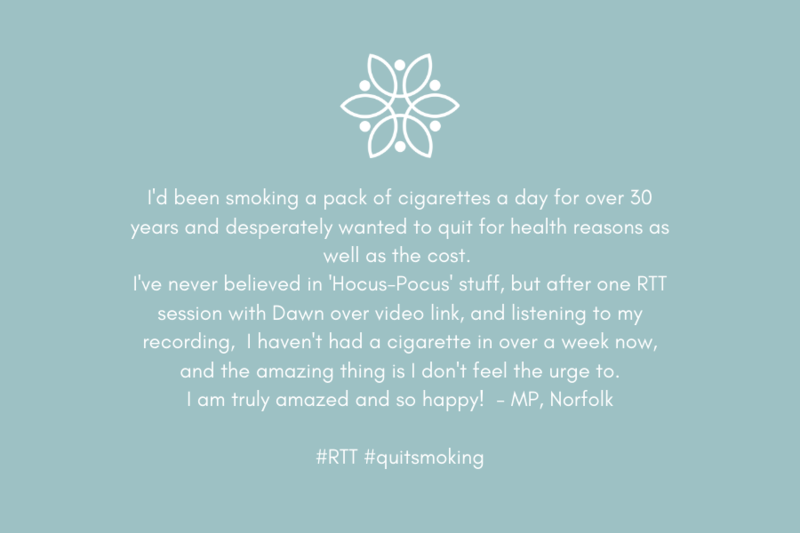 Working with an RTT therapist and coach can be a transformative and powerful experience. If you feel I can help you or you would like to know more please get in touch.